Through Graham's Monumental, a division of Graham's Franklin Funeral Services Ltd, we offer a comprehensive service to meet families needs for an everlasting memorial for their loved one. 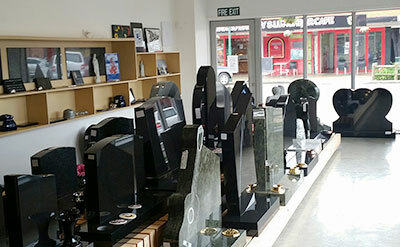 Come in and view our large range of memorials at our new ultra modern showroom at 52 George St, Tuakau. We are proud members of the NZMMMA (New Zealand Master Monumental Masons Association), prepared to abide by a strict code of conduct and ethics and always strive to exceed the high standard of workmanship required by the association. We have a full time Monumental designer on our staff, Ivo Solleder, who is skilled and highly committed to achieving client families expectations. Memorialisation is a time-honoured tradition that has been practised by caring people through the centuries. A memorial serves a basic human need to remember and be remembered. It also fulfils the need to preserve our heritage. Regardless of the choice of burial or cremation, human emotions are the same, and feelings none the less intense. Natural stone or bronze memorials can be the most positive aid in the grieving process, forging an everlasting link with the past and providing a vital focal point - a place to visit and remember. Choosing a memorial can be an intensely personal and private matter. At Graham's Monumental, we have the experience to assist you with choice and design to personalise your memorial. We offer a range of granite memorials in different colours, shapes and finishes, personalised with photo portraits and traceries (eg, flowers, birds, book designs), if you so desire. Computer layout and design, as well as the letter-cutting is done in-house and Graham's own staff completes the installations in local cemeteries around Franklin, Auckland and North Waikato. Further wording or tracery can be matched and added to existing memorials. This work can be completed in the cemetery if the headstone is unable to be uplifted. We also specialise in restoring old memorials and headstones, whether they be granite, marble or concrete. We offer no-obligation, free quotes for all our work. 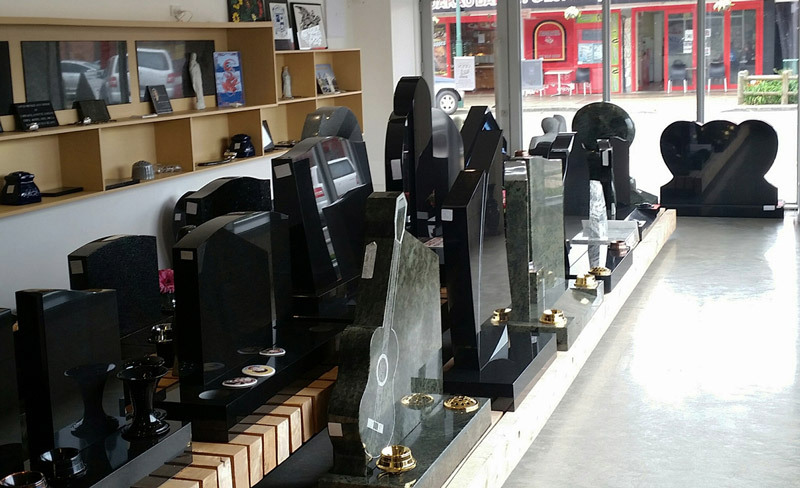 You may visit our memorial showrooms or, if you prefer, we can arrange to meet at the cemetery, or visit you at your own home to discuss your requirements.